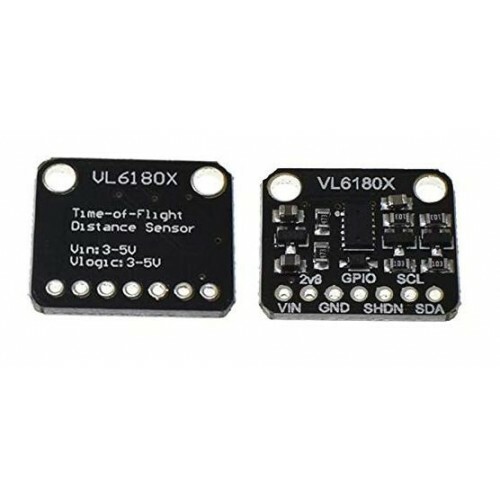 The VL6180X is a time-of-flight ranging sensor. The sensor contains a very small laser source and a matching sensor. The VL6180X can detect the "time of flight" or the time required for the laser to recover the sensor to calculate the distance. 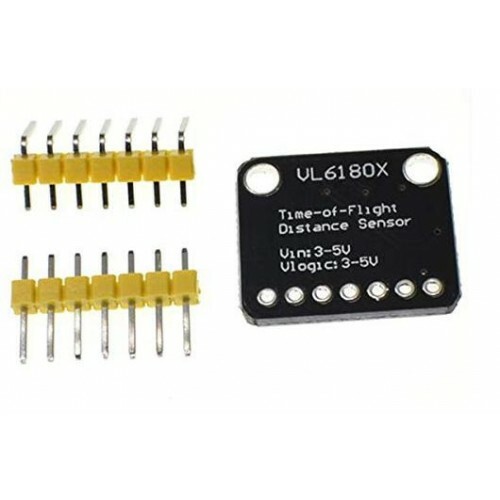 Unlike most distance sensors that rely on reflected light intensity or angle of reflection to determine the distance, the VL6180 uses an accurate clock to measure the time it takes for light to bounce off the surface, since it uses a very narrow source, which is different from ultrasonic sonar. Unlike traditional infrared distance sensors, you can't tell if an object is close because there is no linear problem or "dual imaging." Therefore, the VL6180X is more accurate. 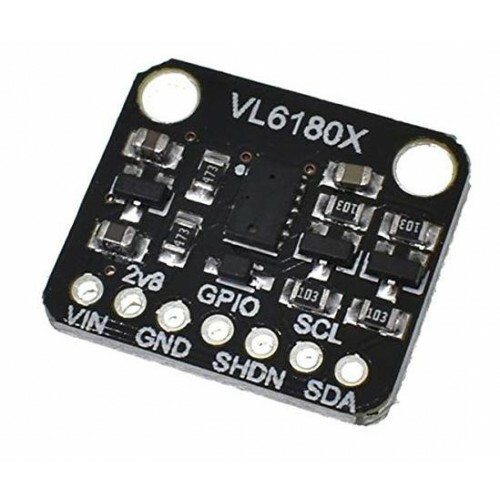 The VL6180 module is recommended to handle distances from 5mm to 100mm. 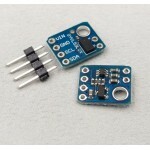 Due to its small size, the sensor module is easy to use in any robot or interactive project. 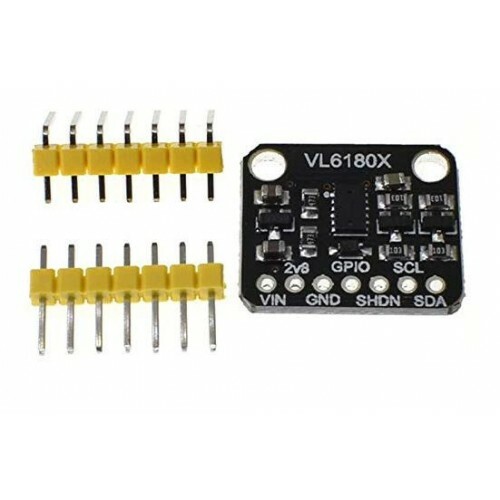 You can use it with any 3-5V power supply or logic microcontroller. Integrated intelligent optical module, which can be used for proximity sensing, ranging and other functions. Fast and accurate distance measurement. Measure the absolute range from 0 to 100 mm or more. Based on object-independent self-illuminating beam reflection measurements, measurements over 100 mm can be used in some extremely desirable target reflectances and environments, but are not guaranteed. I2C interface for device control and data, two programmable GPIOs.